Official records have tried their utmost to suppress the details of a Muslim massacre. What was the death toll in the killing fields of Jammu? There are no official figures, so one has to go by reports in the British press of that period. Horace Alexander’s article on 16 January 1948 in The Spectator is much quoted; he put the number killed at 200,000. To quote a 10 August 1948 report published in The Times, London: “2,37,000 Muslims were systematically exterminated – unless they escaped to Pakistan along the border – by the forces of the Dogra State headed by the Maharaja in person and aided by Hindus and Sikhs. This happened in October 1947, five days before the Pathan invasion and nine days before the Maharaja’s accession to india.” Reportedly, as a result of the massacre/migration, Muslims who were a majority (61 per cent) in the Jammu region became a minority. Mountbatten was in control in Delhi and had news of the genocide of Muslims in Jammu filtered out of the media. Sadly, there has been precious little discussion in India about this horrible phase of history. This propaganda for a zonal plebiscite is going on in Jammu, in Delhi and elsewhere. It is carried on by what is known as the Jammu Praja Parishad. Our intelligence officer reported that this Praja Parishad is financed by the Maharaja. Further, that the large sums collected for the Dharmarth Fund, which are controlled by the Maharaja, are being spent in propaganda for him. 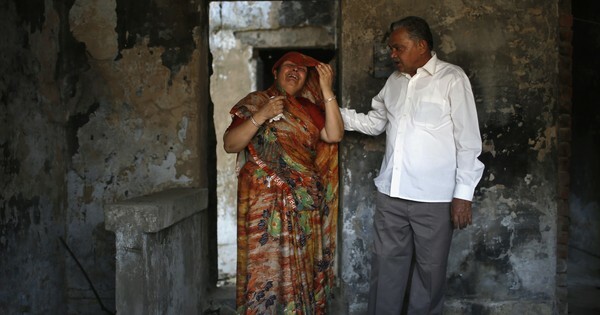 The lid on these massacres was lifted by Ved Bhasin and a few journalists of that time. But like the collective silence over the pogrom in Hyderabad, the holocaust in Jammu has been a story hidden from public view by the machinations of the very people who covertly allowed the massacres to take place. These included many in the national leadership of the Congress party at the time. The events of Hyderabad and Jammu and Kashmir reveal the emergence in New Delhi of an establishment which was indifferent to Indian Muslims. Consider the testimony of journalist Ved Bhasin. Here I am again quoting from his paper presented at the Jammu University in 2003. Communal tension was building up in Jammu soon after the announcement of the Mountbatten plan with the Hindu Sabha, RSS and the Muslim Conference trying to incite communal passions. Tension increased with a large number of Hindus and Sikhs migrating to the State from Punjab and NWFP and even from areas now under Pakistan’s control. Trouble was brewing in Poonch, where a popular non-communal agitation was launched after the Maharaja’s administration took over the erstwhile jagir under its direct control and imposed some taxes. The mishandling of this agitation and use of brutal force by the Maharaja’s administration inflamed the passions, turning this non-communal struggle into a communal strife. The Maharaja’s administration had not only asked all Muslims to surrender their arms but also demobilised a large number of Muslim soldiers in the Dogra army and the Muslim police officers, whose loyalty it suspected. The Maharaja’s visit to Bhimber was followed by large-scale killings. Bhasin reports the large-scale killing of Muslims in Udhampur district, particularly in Udhampur proper, Chenani, Ramnagar and Reasi areas. Even in Bhaderwah (about 150 kilometres from Udhampur), a number of Muslims were victims of communal marauders. According to Bhasin, the RSS played a key role in these killings, aided by armed Sikh refugees “who even paraded the Jammu streets with their naked swords”. Some of those who led the riots in Udhampur and Bhaderwah later joined the National Conference and some even served as ministers. There were reports of Muslims massacred in Chhamb, Deva Batala, Manawsar and other parts of Akhnoor, with several of them fleeing to the other side or moving to Jammu. In Kathua district too there was the large-scale killing of Muslims and reports of women being raped and abducted. As for the attitude of the state, Bhasin alleges that instead of preventing these communal killings and fostering an atmosphere of peace, “the Maharaja’s administration helped and even armed the communal marauders”. He goes on to say that many Muslims living outside Muslim-dominated areas were brutally killed by the rioters who moved freely in vehicles with arms and ammunition even when the city was officially under curfew. “The curfew it appeared was meant only to check the movement of Muslims,” he says. Terrible carnage took place later when the Muslims in Talab Khatikan area were asked to surrender. They were shifted to the police lines at Jogi gate, where now Delhi Public School is situated. Instead of providing them security, the administration encouraged them to go to Pakistan for safety. The first batch of several thousands of these Muslims were loaded in about sixty lorries to take them to Sialkot. Unaware of what is going to happen to them these families boarded the buses. The vehicles were escorted by troops. But when they reached near Chattha on Jammu-Sialkot road, in the outskirts of the city, a large number of armed RSS men and Sikh refugees were positioned there. Though polite, he warned me of dire consequences…he first warned me by saying that “I could have put you behind bars for your nefarious activities. But since you also happen to be a Khatri like me and are also related to me, i am simply giving you advice. It is not the time to form peace committees and work for peace but to defend Hindus and Sikhs from the Muslim communalists who are planning to kill them and destabilise the situation. We have already formed a Hindu Sikh Defence Committee. You and your colleagues better support it.” Then he added, “We are imparting armed training to Hindu and Sikh boys in Rehari area. You and your colleagues should better join such training.” When i sent a colleague to the training camp the next day he found that some RSS youths and others were being given training in the use of .303 rifles by soldiers. Another incident that I recall is about Mr Mehr Chand Mahajan (the then prime minister) who told a delegation of Hindus who met him in the palace when he arrived in Jammu that now when the power is being transferred to the people they should demand parity. [One] of them associated with National Conference asked how can they demand parity when there is so much difference in population ratio. Pointing to the Ramnagarrakh below, where some bodies of Muslims were still lying he said “the population ratio too can change”. 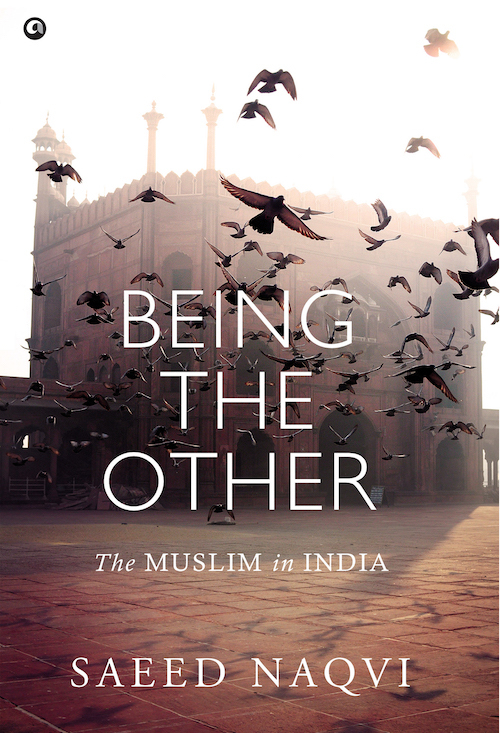 Excerpted with permission from Being the Other: the Muslim in India, Saeed Naqvi, Aleph Book Company.